SEGA has pulled back the curtain on the Sonic Boom: Fire & Ice – Launch Edition. 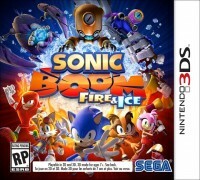 Along with a copy of the game, a DVD with three episodes from the animated series will be included: fan-favorite episodes “Chili Dog Day Afternoon” and “It Wasn’t Me, It Was the One-Armed Hedgehog” which features an appearance by Metal Sonic, and the season one finale “It Takes a Village to Defeat a Hedgehog” which includes the infamous Shadow. This is the first time that the content will be available on DVD in North America. 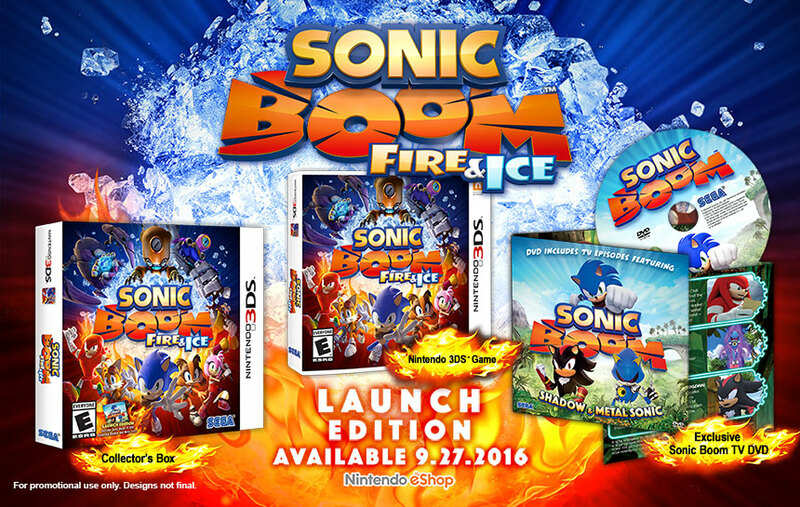 Sonic Boom: Fire & Ice will also be playable for the first time at E3 2016. Attendees can find a demo at the SEGA/Atlus booth in the West Hall.